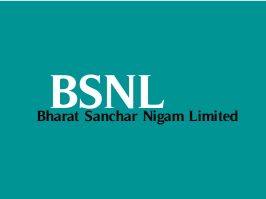 Bharat Sanchar Nigam Limited (BSNL) has given a notification for the special recruitment of 147 Telecom Technical Assistant (TTA) vacancies for SC, ST and OBC candidates. Educational Qualification: Candidates should possess Engineering Diploma in Telecommunications/ Electronics/ Electrical/ Radio/ Computer/ Instrumentation/ Information Technology from a Central Govt./ State Govt. recognized institution or B.Sc (Electronics). Age Limit: Candidates age should be between 18 to 30 years as on 10-12-2015. Upper age limit is relaxable upto 5 years for SC/ ST candidates & BSNL Employees, 3 years for OBC candidates, 10 years for SC/ ST-PwD candidates, 8 years for OBC-PwD candidates and Ex-Serviceman as per Central Govt Rules. Examination Fee: Candidates should pay Rs. 1000/- for OBC candidates and Rs. 500/- for SC/ ST candidates through online mode i.e., Internet Banking, Credit Card, Debit Card only. How to Apply: Eligible candidates may apply online through the website www.externalexam.bsnl.co.in/ www.bsnl.co.in from 01-12-2015 to 10-12-2015.